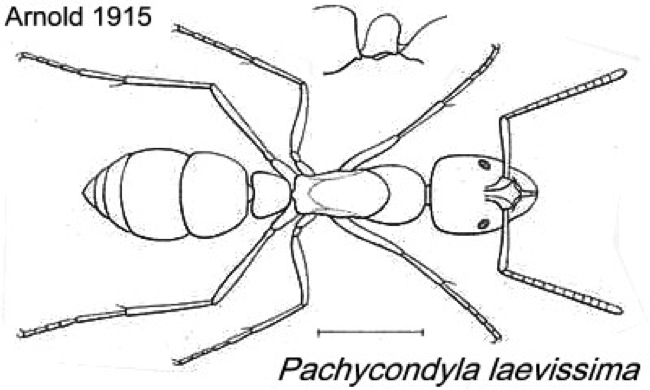 Arnold's (1915) description is at . 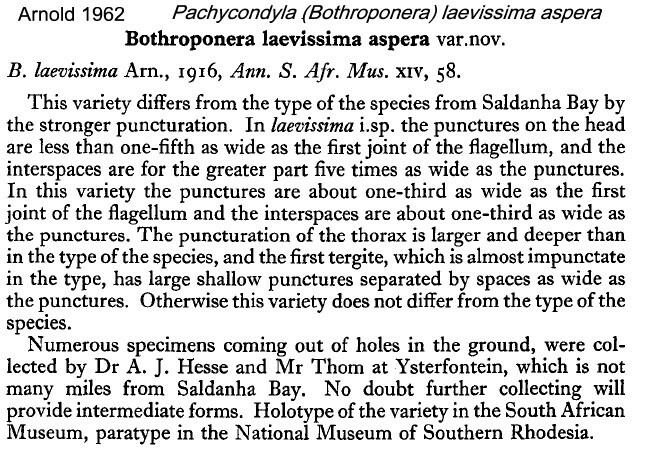 Arnold's (1962) description of aspera is at . 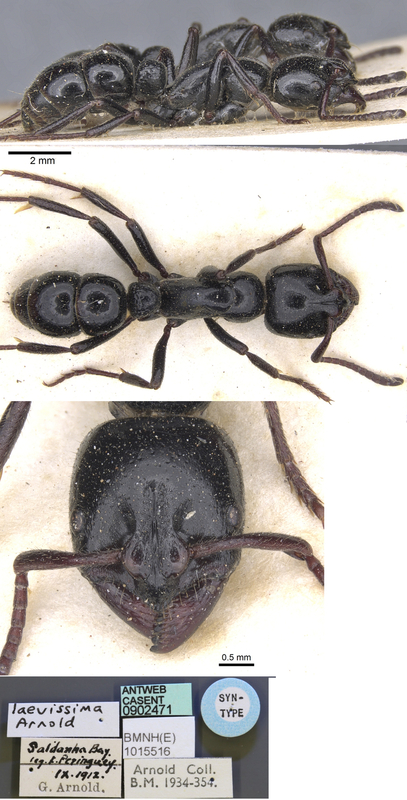 The photomontage of a syntype worker is collated from http://www.antweb.org/specimen.do?name=casent0902471. 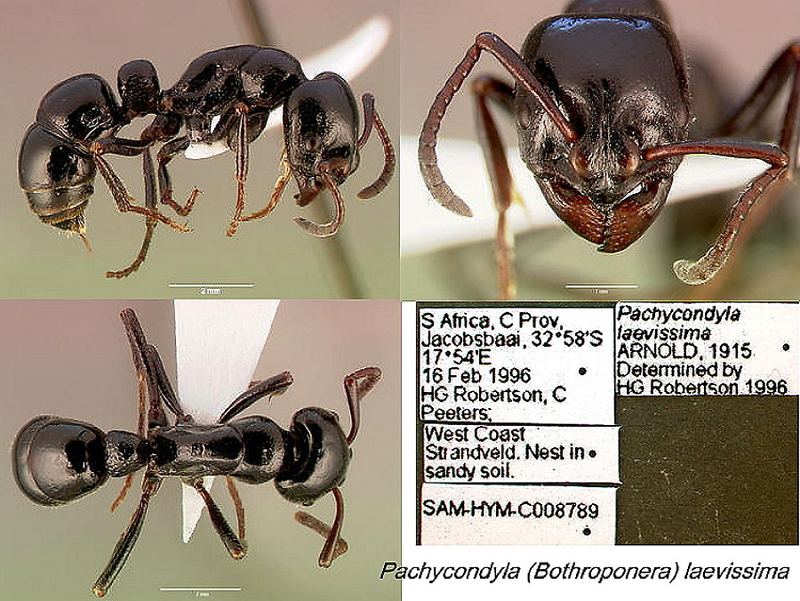 The photomontage is collated from http://www.antweb.org/specimen.do?name=sam-hym-c008789a.